The FDA Bans Trans-Fat (a century after it entered the market) and the story of Fred Kummerow. Trans-fat has been a long source of see-saw debate. However, the FDA’s new ban, 104 years after trans-fat was introduced to the public, means that oil produce this way are no longer “generally recognized as safe”. This means that food companies can no longer put them in our food. “…Trans fats entered the food supply more than a century ago, when a German chemist, Wilhelm Normann, learned that added hydrogen atoms could turn vegetable oil solid. His formulation of crystallized cottonseed oil was introduced in 1911 by Procter & Gamble under the brand name Crisco. Well into the 80s and 90s, many scientists and public health advocates believed that partially hydrogenated oils were preferable to the more natural saturated fats. Furthermore, it was cheaper than the natural fats, had extended shelf life and gave food a desirable texture and taste. This gave the food industry a way to mass-manufacture food, as well as produce food that consumers will want to keep buying. “…But in the 1990s the true toll of trans fats, which could be found in packaged cakes, peanut butter, pizza, and lots of other foods, started to become clear. On a calorie by calorie basis, trans fats seem to increase heart disease risk more than any other nutrient, and unlike other fats, sugars, or carbohydrates, they have no nutritional benefit. We owe our thanks to Fred Kummerow, a 100-year-old University of Illinois professor who has warned about the dangers of trans-fat for nearly SIX DECADES. His early research showed people who died of heart attack having high levels of artificial trans-fat in their arteries. Despite Kummerow’s citizen petition in 2009 and other mounting research, the FDA did not take any major initiative towards the issue. Kummerow sued the FDA and the Department of Health and Human Services in 2013, and won – three months later, the FDA announced its plans to effectively eliminate trans fats by saying that the substance no longer would be assumed safe for use in human foods. 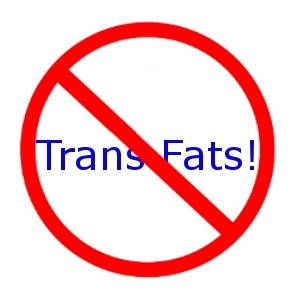 Now, it is official: the FDA bans trans-fat.